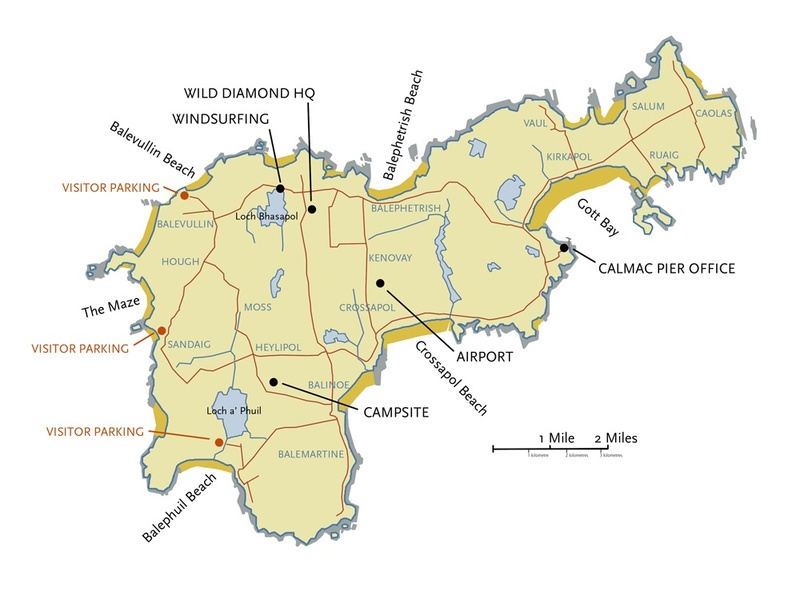 Our centre headquarters are based in the township of Cornaig in the northwest of the Island. 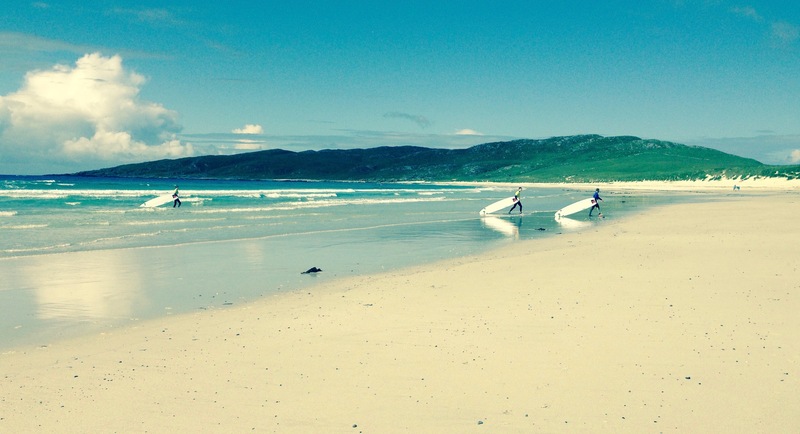 This includes our shop, equipment hire centre and windsurfing school as well as our office. For all contact our shop and office should be treated as our main place of business since it is only during the summer that the windsurfing school is open on a daily basis. The rest of our activities are roving and accordingly the shop and office are our primary meeting place each morning for activities. We are open here 9-11am during the Spring and Autumn and daily during July and August. 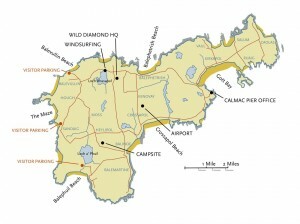 Cornaig is where Loch Bhasapol (our primary waterbase) is located. 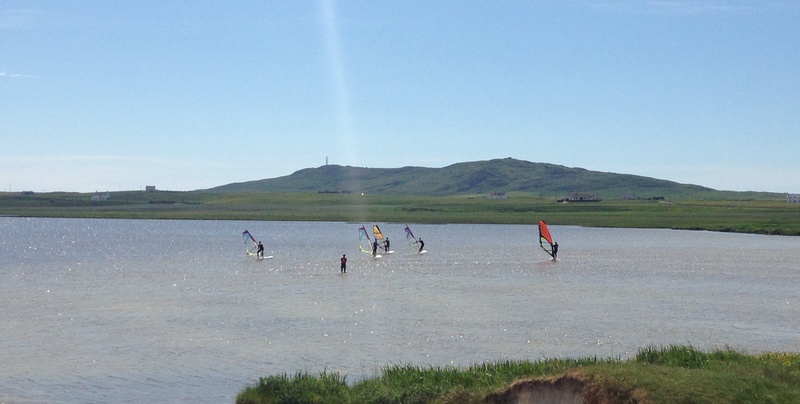 The Loch has flat, shallow, fresh water and a sandy bottom with steady winds allowing windsurfing skills to be quickly developed, whether by yourself, or under instruction from us. This is the perfect location to windsurf and to teach windsurfing from since it puts our instructors right next to our students in a shallow, easy to sail location that maximizes our productivity and your time on the water. One thing worth knowing that only the regulars will tell you is that the loch water is also the warmest on the island! Unfortunately this is only during the summer months. 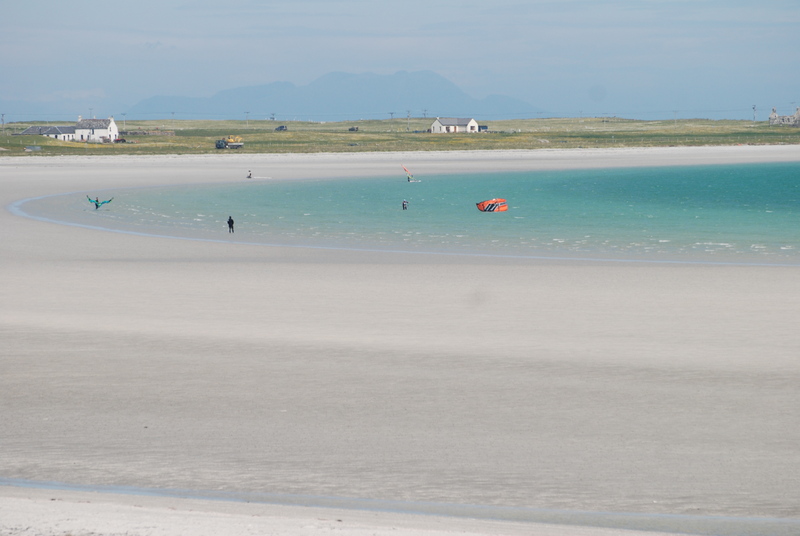 Tiree has an abundance of beaches around its coastline all facing slightly differing geographical angles. 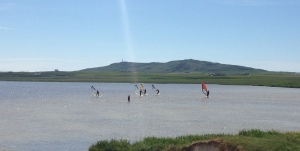 On any day you can find a beach with a perfect wind angle for wind sports. 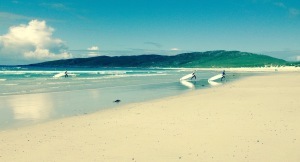 The west coast beaches also catch lots of the atlantic swell. This is where most of our surfing and Stand up Paddleboarding (SUP) takes place. 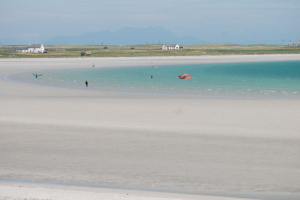 Tiree is an ideal location for many differing watersports participants which we offer. Our kitesurfing & sandyachting tuition is mostly conducted on Gott Bay. Gott is ideal for kitesurfing being horseshoe in shape meaning that most winds are in fact cross shore somewhere on the bay. The bay is also long (around 2.5 miles in length) and only has a few rocks scattered around the middle of the bay. There are no rip currents or anything similar and as such you couldnt ask for a safer venue for first ventures into the ocean! There is vehicular access to almost all of the bay and accordingly you can just pick the most suitable spot for your ability level, depending on the conditions at the time.